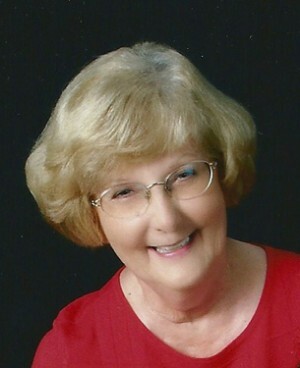 MITCHELL — Beloved wife, mother, sister and grandmother, Sally Ann “Betty” Hubbs, 72, died Wednesday, Feb. 1, at home. Cremation has taken place. Memorial services will be held at 11 a.m. Saturday, Feb. 4, at the Mitchell Berean Church with Pastor Giles Armstrong officiating. A private family inurnment will take place at Torrington Valley View Cemetery. Arrangements are under the direction of the Colyer Funeral Home and friends may send condolences to the family online at www.colyerfuneralhome.com. Memorials may be given to the Mitchell Berean Church, P.O. Box 215, Mitchell, NE 69357, or the West Nebraska History and Research Center, 1602 Ave. A, Scottsbluff, NE 69361. Betty was born June 1, 1939, at Brigham City, Utah, to Alga and Rose (Heenan) Blunt. She spent her early childhood years in Twin Falls, Idaho, and then moved with her family to Hawk Springs, Wyo. in 1951, where she graduated from high school and met her husband. She married Kennard D. Hubbs in Hawk Springs on July 1, 1956. Betty and Ken moved to Mitchell in 1968 and resided in town until 1996, when they moved to their “Bumpy Road Ranch” south of Mitchell. Betty retired from the Mitchell Public Schools in 2005 as secretary to the superintendent, where she previously held the position of assistant librarian. She also spent time as the school librarian for two local country schools and worked at the Mitchell Public Library prior to that. Betty was active in the Mitchell Berean Church and held various leadership positions in PEO, Daughters of the American Revolution and Rebecca Winters Genealogical Society. Betty also served as a Campfire Girl leader for all three daughters and taught Sunday school for many years. She stayed very active with bridge club, sewing club and genealogy research. Betty spent many joyous hours attending her grandchildren’s sporting events, extracurricular activities, school and church programs. Survivors include her husband, Ken; daughter, Tian Hubbs; daughters and sons-in-law, Tacy and Daniel Griess and Tanya and Rodney Schwaner; brother and sister-in-law, L. George and Alice Tracy; sister and brother-in-law, Ilene and Ron Kaufman; grandchildren, Justin Keller, Brandon and Nathan Griess, Nathan and Kenley Schwaner; great nephew, Corey (Kelly) Miller; numerous nephews and nieces; many friends; and her special cats, Sydney and Sam. She was preceded in death by her mother and father; siblings, Dale Tracy, Lois Pettit, Rosemary Miller, Jim Tracy, Mildred Howery, Helen Lorenz and Wyoma Blunt.